Brad Whitaker: ... but not everyone has the patience or the devotion to be a dad. As for me, I've always wanted to be a dad. Let me tell you, I love it! Yeah! 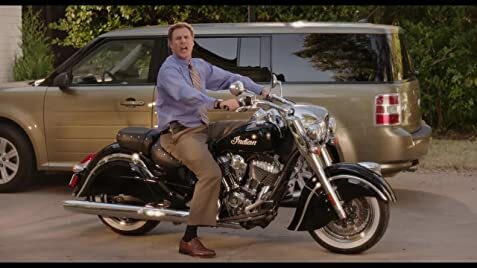 Brad Whitaker: And I love my Ford Flex. It treats me to a smooth ride, and you know what? It didn't break the bank. Room enough for the whole family. I have to confess that for the most part, Will Ferrell kind of mystifies me; I don't see what makes him so popular with the mass public. Still, I have to confess that in "Daddy's Home", he tones it down so he isn't strident like he is in other movies. In fact, he does end up having some charm and likability, and paired up with Mark Wahlberg (another actor who usually doesn't impress me), some genuine chemistry is generated. 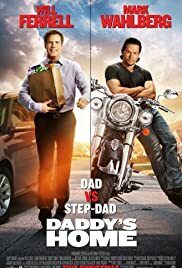 Also, director Sean Anders wisely lessens the raunch factor that is usually high in in the two stars' other movie; there is an easy-going feeling instead that is quite palatable, a feeling that does sneak up on you and does tickle your funny bone on occasion. However, in the end there are not quite enough laughs to make me give it a recommendation. As I said in my summary line, the movie is quite formulaic; you can really predict what will happen before it actually happens throughout. Since there are no surprises, it becomes very difficult for the movie to pull the rug out under the audience and generate laughs. There are many comedies that are much worse than this, I admit, but in the end it's only a movie to watch when something else in your home is asking for your primary attention.